At long last, we are ready to introduce you to our neighbourhood’s new composting and rain barreling heroes. 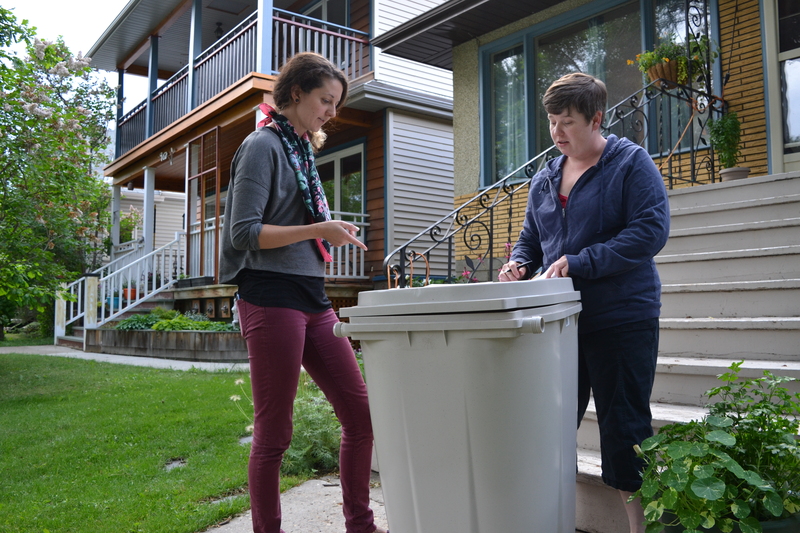 Come adventure with us on a special two night tour to meet the participants in our Old Strathcona Greening Project and learn tips on composting and saving rain water in your own home. Kids and pets welcome. Look for the yellow butterfly net. Come on one or both tours! Over the last year, Shareable Neighbourhood volunteers have been designing a project that will empower residents to be active participants in making our neighbourhood a little greener. With the support of the City of Edmonton and Rotary Club of Edmonton Whyte Avenue, we decided to teach people how to install compost bins, rain barrels, and indoor living walls. This summer, over 20 residents and community organizations have signed up to become rain barrel Water Warriors and composting Mulch Masters. We gave them workshops and tools to set them up, and now they’re ready to share what they know. Come learn how you too can be a Water Warrior or Mulch Master, and get to know Old Strathcona and Mill Creek a little better! This project has been generously supported by a grant from the City of Edmonton’s Neighbourhood Action Program. And save the date on August 30 for our living wall workshop at Roots on Whyte.